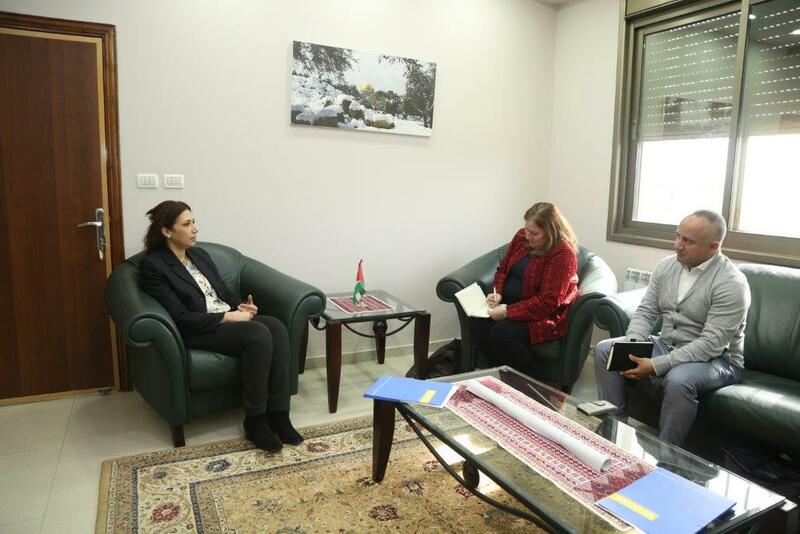 RAMALLAH, 23-01-2019 - H. E. Dr. Ola Awad, President of the Palestinian Central Bureau of Statistics (PCBS) received, on Wednesday at the PCBS headquarter in Ramallah, H.E. 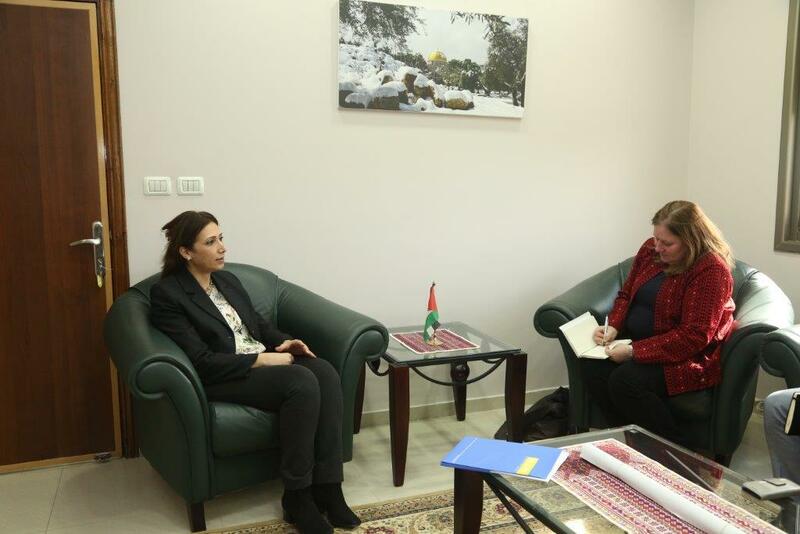 Ms. Sarah Muscroft, the new Head of the United Nations Office for the Coordination of Humanitarian Affairs (UN-OCHA) in Palestine. H.E. 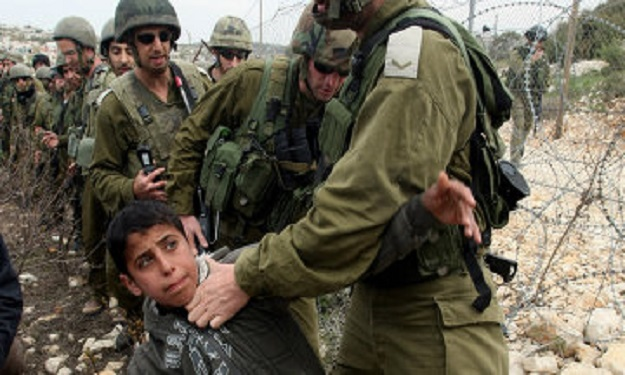 Dr. Awad expressed her best wishes to the new head of office on the assignment at her second home Palestine. The meeting focused on enhancing the means of joint cooperation in the field of statistics, in a way that reflects the strong relations with the UN agencies, in addition to giving Ms. Muscroft an overview on PCBS mandate, and the main projects under implementation, mainly the Agriculture Census 2020. H.E. 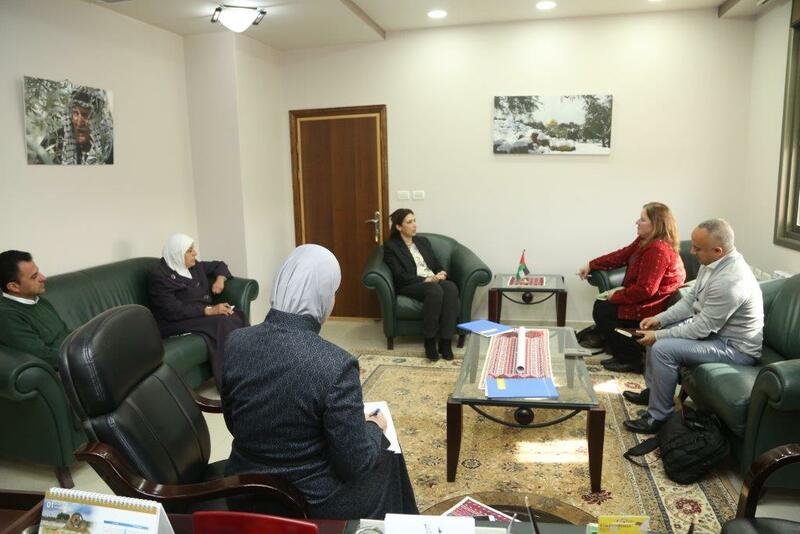 Ms. Muscroft thanked PCBS for its efforts and outstanding work, and stressed on the depth of relations and cooperation between the two institutions, and their keenness to develop it to serve the Palestinian National Statistical System.